Filler: The most innocent spider | Random moosages as I see fit. Do you think that’s a contradiction in terms? That all spiders are evil? In fact, that spiders perhaps are the definition of evil? Well, I suppose that’s your choice. 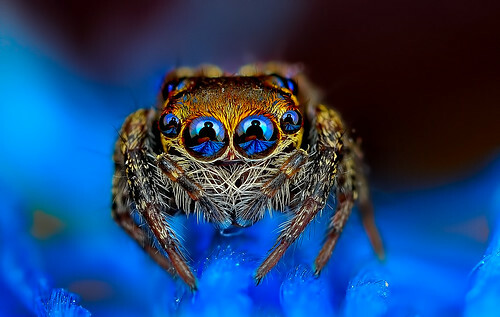 I recently found this photographer who specializes in taking photos of spiders and insects head on with them looking into the camera. Well, the spiders at least. 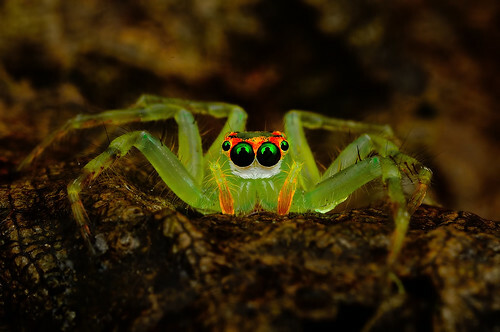 There seem to be a lot of jumping spiders in his lineup and jumping spiders always have their two largest eyes in the front of their faces so they actually could be looking at the camera. Insect eyes don’t work the same way. And actually, eyes of spiders other than jumping spiders may also may not work that way. Anyway, there are pictures of spiders after the jump. You’ve been warned. Oh, and all photos were taken by Jimmy Kong. His work is excellent. Does it look like one of those innocent small animals possibly caught in the headlights of an oncoming truck or something? So innocent. Here’s another one that doesn’t look innocent, so much, but just looks interesting. 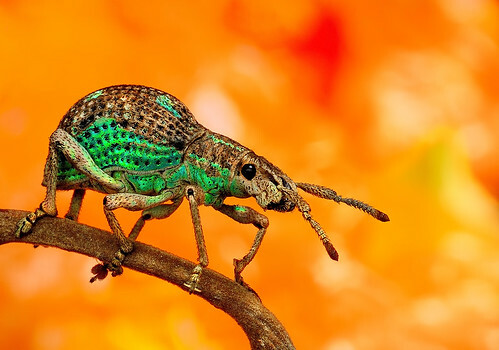 Here’s an insect. Just because.